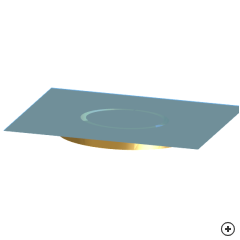 Image of the Cavity-backed annular slot antenna. 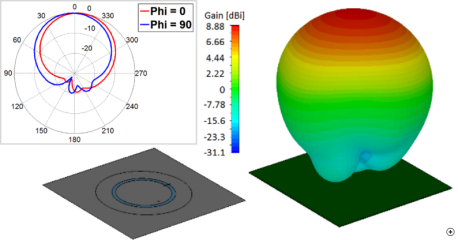 The cavity-backed annular slot antenna is often used in airplane applications, as it can be flush-mounted so that it has little impact on the aerodynamic performance of the platform. The structure has an air-filled cavity backing (designed to support the dominant TE010 mode), while a shorting strip (bridging the slot separating the central disc and remaining ground plane) can increase the impedance bandwidth of the structure to beyond 10%. 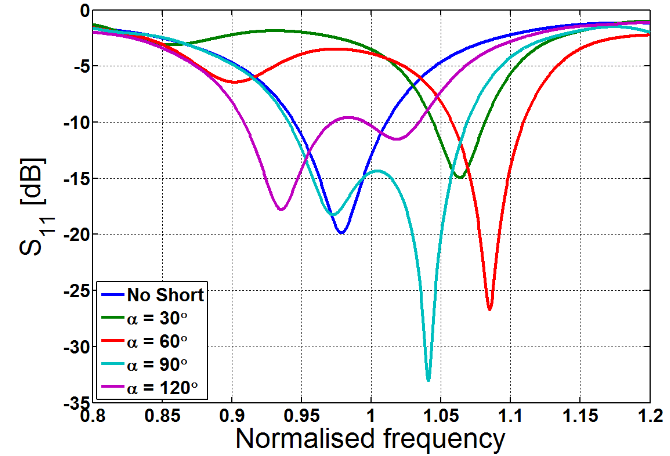 The S11 figure highlights the effect which the short and short angular position has on the impedance response. 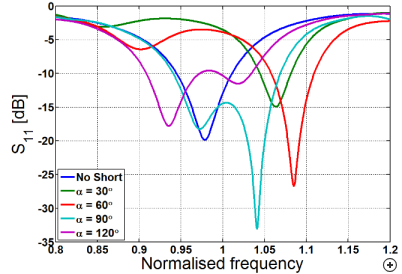 When angle alpha is smaller than 90 degrees a single resonance is present, whereas when the angle is increased beyond 90 degrees, a dual resonance occurs which dramatically increases the bandwidth.